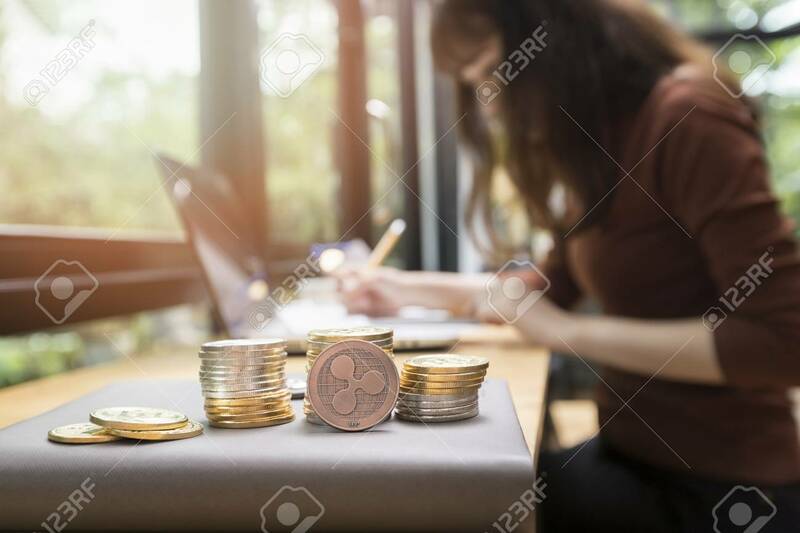 Copper Ripple Coin (cryptocurrency) In Front Of Businesswoman Background. New Virtual Money Concept Lizenzfreie Fotos, Bilder Und Stock Fotografie. Image 116540557.